Before HARBINGER WARS 2 begins, JUMP ON BOARD HERE with A STANDALONE INTRODUCTION TO THE VALIANT UNIVERSE's most powerful forces from the master storytellers behind SECRET WEAPONS: Academy Award-nominated writer Eric Heisserer (Arrival) and Harvey Award-nominated artists Raúl Allén (SECRET WEAPONS) and Patricia Martín (BLOODSHOT REBORN)! The Harbinger Renegades have been scattered across America…battered by the brutal MASSACRE that decimated their ranks. Resigned to a peaceful life alongside his wife and daughter, Bloodshot once sought SALVATION…but now finds himself lured back into the battle between freedom and control. An EMPEROR no more, X-O Manowar has returned to Earth…heralding a colossal realignment of powers in his wake. And, behind them all, Livewire - leader of the Harbinger Foundation's most unusual group of SECRET WEAPONS - is about to incite the coast-to-coast clash that bring them all together in an inescapable collision of power. Pushed to the brink by the government she once served, Toyo Harada's former star pupil is about to make an irreversible decision…and deactivate America's power supply in a last-ditch bid to save the extraordinary individuals called 'psiots' from extinction. As a nation goes dark, the paths of our world's most powerful heroes will soon converge…and the stage will be set for the most cataclysmic confrontation in the history of the Valiant Universe! 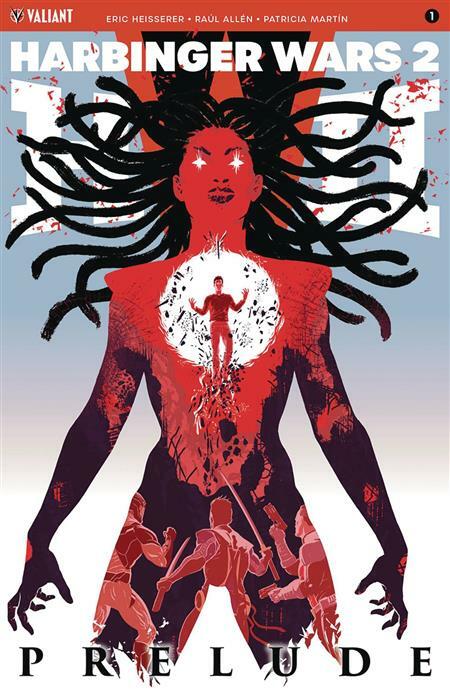 Witness the ground-zero moment for the future of the Valiant Universe with a startling, self-contained prelude to HARBINGER WARS 2 - and the perfect introduction to all of Valiant's biggest icons from one of the most acclaimed creative teams in comics today!